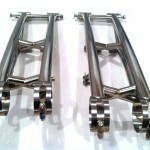 RaceTech Titanium just release a new upgrade for our ATV line of Titanium swingarms. 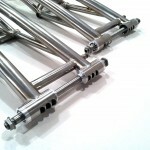 The new UltraLite upgrade includes extra machine work on the bearing carrier rings, pivot tubes, and pivot inserts. The extra machine work is addition weight reduction and an awesome look. 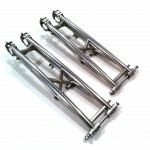 For the ultimate weight saving upgrade your new RaceTech Titanium swingarm with the UltraLite parts. 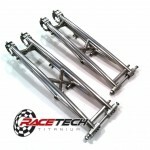 This entry was posted on Sunday, January 12th, 2014 at 6:57 am and is filed under RaceTech News. You can follow any responses to this entry through the RSS 2.0 feed. You can leave a response, or trackback from your own site.